Football Betting has come to stay and millions of people across all ages are into it for fun and to make money. There are various types of betting that you can indulge in to succeed. Have you ever wondered how you can make it big in betting? Have you been playing for a long time without being successful? Well, there are certain tips you need to know that will make you the best among your pairs. Choose either to be a punter or a gambler: There is actually a thin line between being a punter and a gambler, however, there are noticeable differences. A gambler stakes relatively low or high odds to make a profit, while a punter stakes relatively high on low odds to win big. You have to decide which type of bettor you want to be. Your decision should be based on your income and your knowledge of the betting niche. You can decide to stake 5,000 dollars on just an Arsenal vs Huddlesfield game, choosing the gunners to win on a 1.20 odds or choose to bet on the entire premiership games in the weekend to draw with 100 dollars. The choice is yours. Don’t be deceived by odds: It is important for bettors to know that various bookmakers give odds based on their statistical computation not based on sound judgment. Know that just because Atletico Bilbao is given 6.00 odds against Real Madrid and Madrid is given 1.37 odds, means that Real Madrid will win. What this means is that odds can be deceiving, what matters are forms, injuries, and recent statistics. Know that upsets are common in life; therefore the favorites do not always win. To be smart sometimes choose underdogs especially when the favorite is performing below the radar. Once you see a bookmaker that can fulfill 80% of the above service, you can choose them. You should also consider using more than one betting company services to suit your purpose. Have a betting plan: Betting is an act and one should have a plan on how to bet. Don’t make it a habit to bet every day. It is not feasible and advisable. Know when to quit and when to take a step back. Sometimes we win, sometimes we lose but the best thing is to know when to play and when not to play. Make a strategy on the days you want to bet and how much you want to spend on betting weekly/monthly. Follow your plan faithfully. Don’t be addicted: Betting like most habits we indulge can be addictive if we are not careful. The thing is that we cannot win every time; we win some and lose some. Don’t let the frustration of losing or the joy of winning make you addicted. Being addicted can make you lose money heavily and it has a psychological effect on you. Bet responsibly. Be wary of virtual football: Virtual football is an online football betting platform which various games are stimulated online to give out the desired results. Please to make money and huge profits on betting please stick to the conventional betting games that you understand. Virtual games are usually online stimulated matches and cannot be read. The bookmakers always make sure that the games are skewed against you. Therefore you have to be wary of VFL. Stick to sports/bets that you understand: There are more than a thousand kinds of bets that are organized by bookmakers for their customers. These bets ranging from soccer, handball, dice, dog racing, horse racing, color cards etc. It will be beneficial for you to play the types of bets that you understand and can analyze. If you are a football fan, then it is advisable to play bets related only to soccer, don’t be greedy and play cards and dice that you don’t know. In today’s world, knowledge is power, so please just stick to what you know. Most game bets are organized based on the inherent knowledge that people have about it. Move with like-minds in the betting world: No one is an island of knowledge, therefore if you wish to make it big in the betting world. You need to engage other bettors alike about how they succeed. You need to join forums and groups where you can share ideas and games. By rubbing minds together, you stand to gain more by doing so. 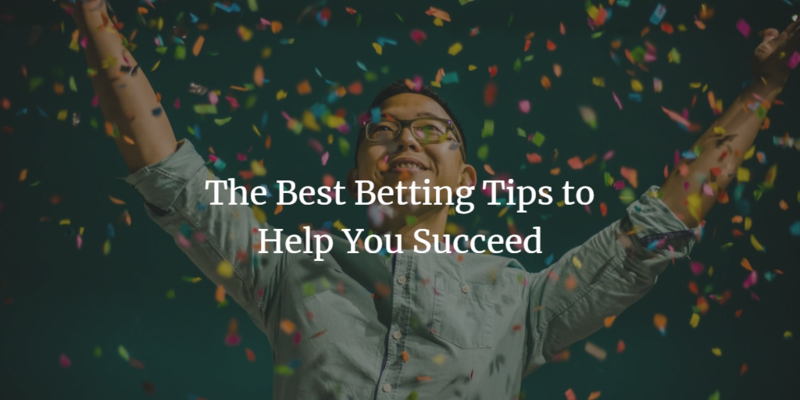 Therefore, you shouldn’t be satisfied being a hermit but move with people with information so that you can be confirmed on latest betting tips. Stay away from fixed games: While it is good to meet friends and join groups on betting, we should be wary about people who want to rip us off by saying they want to sell fix games to you. While it is true that there are fix games, it is very rare to get a genuine fix game from any source. Fix games are run by cartels/mafias alike and it cost a huge amount of money, and if caught, one can get up to 50 years in prison. So you don’t expect them to sell it as cheaply for 10 dollars. Never Give up: There is a popular saying among bettors, “only the brave conquers.” If you are really serious about betting, you need to know that perseverance is the key to beat the bookmakers. Therefore, if you lose three straight wagers, you relax and bet again. By giving up, you have lost the battle and made the betting company win. Be strong, one day, you will reap your reward. In conclusion, making a profit in betting is not easy and it requires hard work and perseverance. Therefore you have to make sure you are ready for it. It is possible to make a huge gain from it if you follow the above tips faithfully, don’t be greedy, be wise and smart and you will stand a higher chance of winning.